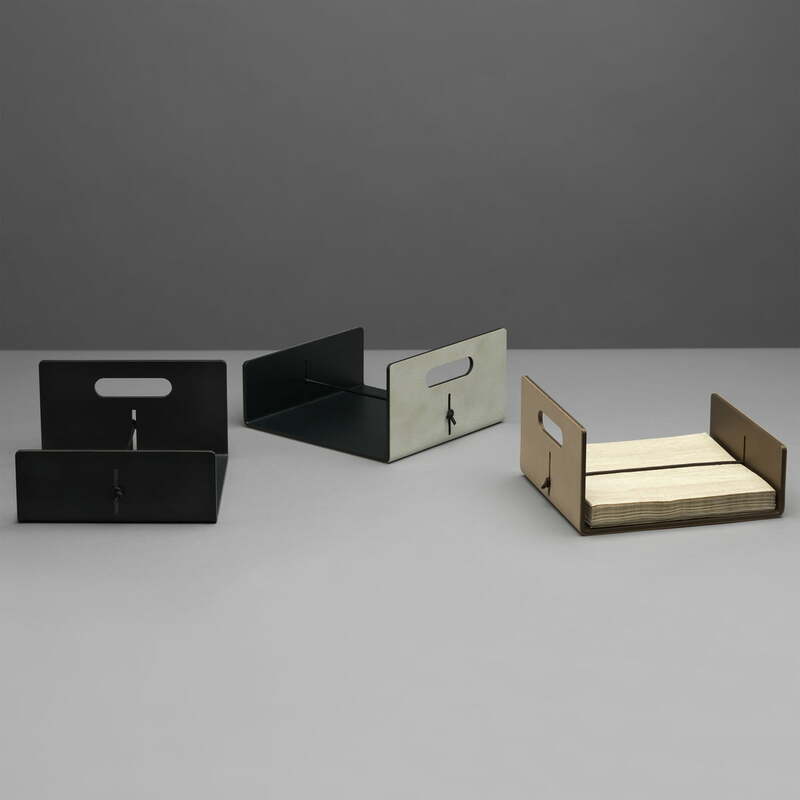 The napkin holder by LindDNA is a handmade box made of aluminium, which was covered with recycled leather. The support holds the napkins, thanks to an height adjustable leather strap in their place without the danger of slipping away. 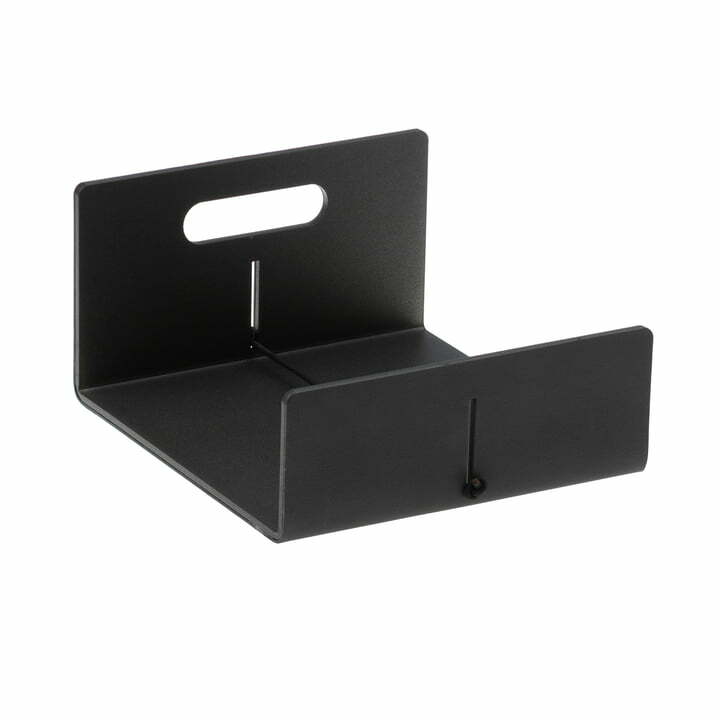 A handle on the higher side of the box makes transporting easy and effortless, in order to take the napkin holder to the table or back into the kitchen easily. The leather used at LindDNA comes of leather remnants, incurred in the production of bags, shoes and other items of clothing. This leather is an environmentally friendly and resource-saving variant contrasting conventional leather because it is cut and reconnected with natural rubber. Thereby the recycled LindDNA leather is especialy resistant, water repellent and dirt repellent thanks to the 20% of rubber content. 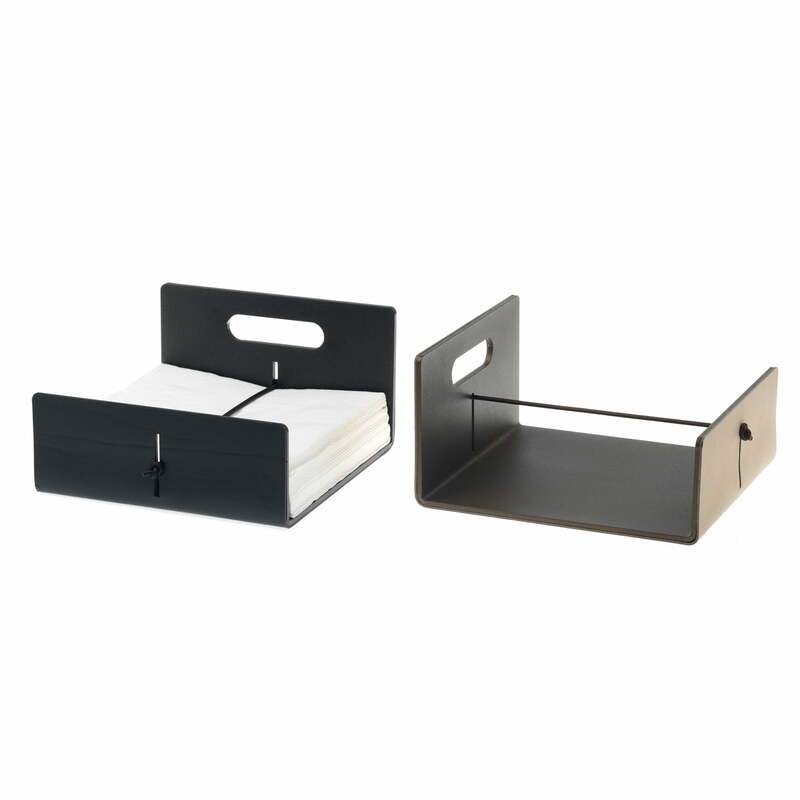 The napkin holder by LindDNA is available in different colours in the soft leathers Nupo and Cloud.